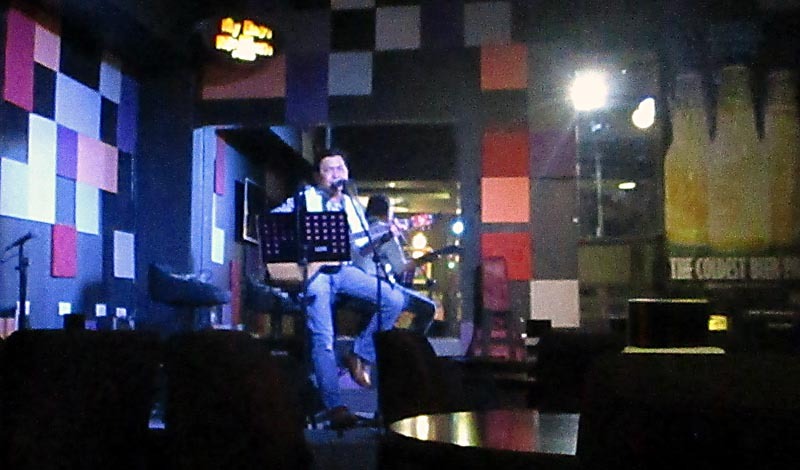 Aside from the Blues, vocalist and guitarist, Chikoy Pura is a main staple whenever I'm in Manila. He's as weathered as it gets given his mileage performing in bars, concert halls, social rallys, school grounds, etc. Whether he's performing alone or with his longtime band, the resilient The Jerks, I make time to catch his gig. He's has been around the block from 1979, going through the phase of rock, punk and other genre that have come and gone. He has refined his grit over the years covering a lot of the classics but he also writes his own music usually protest songs themed on compelling social issues. At the moment, he is involved in the plight of the lumads mostly in Mindanao who are brutally savaged by mining interests. Chikoy has a powerful voice and an imposing stage presence. He started out with Neil Young tunes, one my fav - Southern Man. He sang mostly classics but when he performed David Bowie's Space Oddity, it sent chills up my spine, given Bowie's recent passing on. That song allowed me to grieve for Bowie. 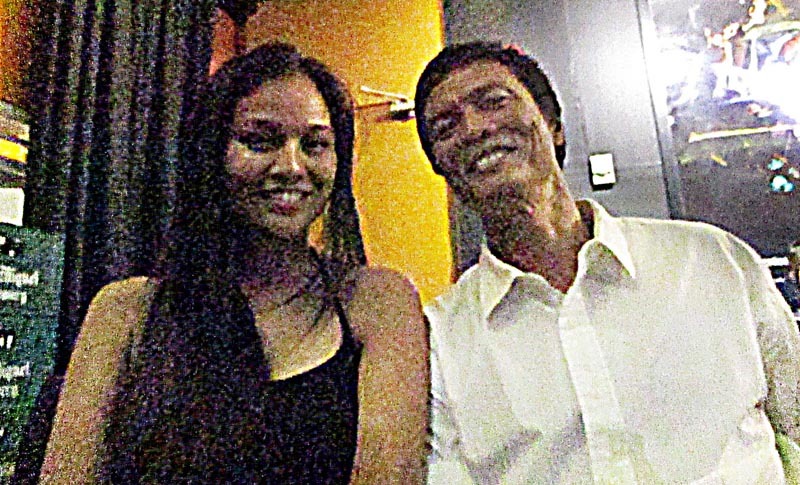 On request, he also played my favorite Chikoy song (what I call his signature song), Rage. Well done Chikoy. It's been a few years since I saw Julia and my repeated attempts to see her when I'm in Manila proved futile. I do my due-diligence to friends, but when it's not happening, I don't lose sleep over it. Things happen when the time is right. When I invited her to join me for Chikoy's gig this time, she was free. It was wonderful to see her again. We didn't really get to hang-out much in the ensuing years, but that didn't take away from our connection. 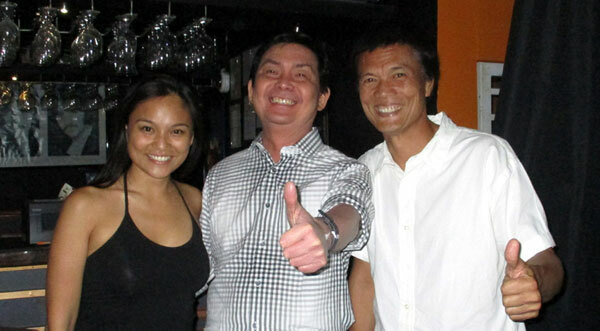 We updated each other in snippets in the quiet moments of Chikoy's gig. She's done well over the years surviving the trench warfare of showbiz. She's always been a survivor. The sound volume at the venue was set to emulate a concert hall with over-the-top head-banging saturation. My Bro's Mustache is a small venue for intimate gigs. That intimacy was nowhere to be found. I believe Chikoy's music would have been better served UNPLUGGED. 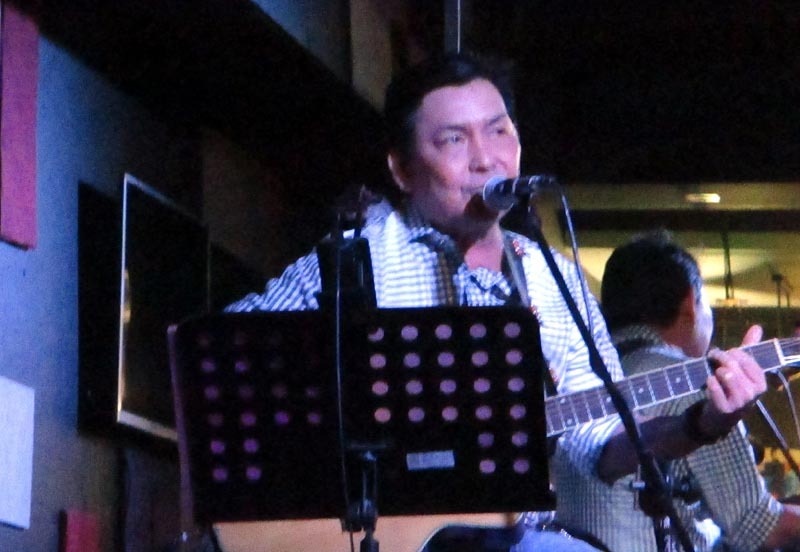 There was no need for amplification - the place was small and Chikoy's voice carried through in a powerful way. Julia agreed. My 2 cents. This is indeed a special night - a double header with Chikoy's music and Julia's company. Some moments are just more special than others. ps - If you are a musician or band (or a music bar) and want me to objectively cover your next gig/scene for this website, email me.